Brian Gale Surveyors are a team of experienced chartered surveyors working across the Ashtead area in order to provide clients looking at a property purchase with all the relevant information they need to make an informed decision. Offering a variety of surveying and other property related services, Brian Gale Surveyors draw from a wealth of experience in surveying all property type in order to provide services tailored to meet the needs of our clients. When purchasing a property, it is important that you have all the relevant facts to hand. A comprehensive survey or full building report provides an in depth analysis of the condition of the property in question, looking at all visible and accessible elements of the property. This report highlights any major defects or hidden issues that will need repairing, including an estimate of any costs involved. This allows our clients to enter into further property negotiations, or reconsider a purchase where appropriate. Brian Gale Surveyors was established in 1985 and throughout the years has built up an established reputation for honest and in depth surveys and reports across Ashtead and the surrounding area. With a focus on ensuring complete client satisfaction, we take pride in our outstanding customer testimonials which can be found on our website. By providing a range of property related services, from lease extensions to neighbourly disputes to project management and full building reports and more, we offer expert advice tailored to meet the needs of each client. We are dedicated to helping all clients, both new and old and draw from relevant experience operating throughout London, Sussex and Surrey in order to ensure that we continue to maintain an extremely high standard of service throughout the UK. 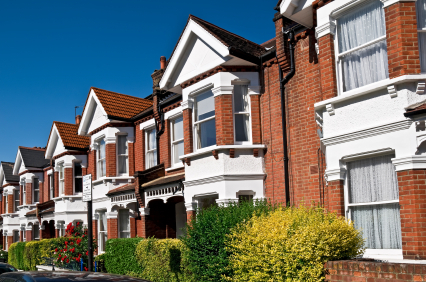 Brian Gale Surveyors provide a range of property related services to clients throughout the Ashtead area, tailoring each service so that they provide the assistance and advice the client needs. In addition to our detailed surveying services, we also provide professional advice on behalf of both landlords and tenants, offering commercial assistance and a variety of other services. You can find our full range of services in more detail on the Our Services section of our website. Brian Gale Surveyors draw from over 25 years’ experience in providing concise and detailed surveys and reports throughout the UK in order to ensure that clients throughout Ashtead receive all the information they need. From project management services to lease extensions and more, if you have any questions surrounding the services we provide, please get in touch with us today to find out more. You can call us on 01737 245947 to speak to a member of our professional team, or email us at sue@briangalesurveyors.com with your enquiries and we will get back to you. We are dedicated to helping all clients, both old and new, and focus on ensuring complete client satisfaction in every service we provide. We operate throughout the South East of England, with a wealth of experience working in Tonbridge, Sevenoaks, East Grinstead and Lingfield to name a few. You can also complete an enquiry form by filling in your details and any additional information about the service you require. As a team of professional surveyors focusing on providing expert advice and assistance on property purchases across Ashtead and the surrounding area, allow Brian Gale Surveyors to assist you in a range of property related matters. We look forward to hearing from you soon.